>Populism in CEE: an illiberal helping of democracy? A recent special issue of Journal of Democracy asks whether Central and Eastern Europe is backsliding on democracy and market reform. The apparent rise of populist forces across the region seen much journalistic ink spilt over the past year or so and in October’s JoD a heavyweight line-up of CEE academics and intellectuals (Martin Bútora, Jacques Rupnik, Alina Mungiu-Pippidi, Ivan Krastev, Vladimir Tismaneanu and others) weighs in to tackle the subject. The irony is that this comes just as the ‘populist backlash’ seems to be waning. Leading populist baddie Jaroslaw Kaczynski and his Law and Justice party were soundly beaten by pro-Western liberal-conservatives in Poland’s election while Robert Fico has successfully and humiliating bullied Vladimír Mečiar into staying in his coalition by making clear that he is prepared to jettison him, kept the far-right Slovak nationalist on a tight rein and is likely to see his party readmitted to the Party of European Socialists early next year. The JoD essays therefore come across as sensible but uninspired and jaded. All agree (surprise) that there is no post-Soviet slide into authoritarianism in CEE, only questions over the quality of democracy in the region. They are less clear what might be causing this – the factors most cite include the failure and lack of vision of the local political class; the weakness of civil society and lack of checks and balances and ‘counter-majoritarian institutions’; the withdrawal of EU conditionalities now most states in the region are Union members; and – that very old chestnut – the ‘Leninist legacy’ resulting in uncivic mentality and an ideological vacuum filled by populist appeals patched together as ersatz mixture of liberalism, nationalism, fascism and communism. A more interesting question is the relationship of populism(s) in Western Europe and CEE. After all civic disengagement, alienation from politics and populist far-right parties have been a more important feature of wealthy Austria, Belgium, France or Norway than the poorer CEE region? Romania and Serbia are perhaps the key exceptions. Slightly confusingly (and contradictorily), phenomena such as political polarization and problems building majorities are lumped in by some contributors as symptoms of ‘populism’. The one really truly arresting piece is by Ivan Krastev, who argues that populism is not only part and parcel of democracy – rather than part of a malaise or defect – but is functional and beneficial in representing neglected demands, drawing alienated citizens into politics. Populist concerns about elite accountability are as legitimate as liberal concerns about the governability of society and the tyranny of majorities. The problem says Krastev is that liberalism in the region has been too successful in presenting liberal reform as imperative with no legitimate alternative (necessary as part of the transition from communism, necessary for EU accession etc), leading discontent from losers to well up as an anti-political upsurge of electoral protest against the political establishment – the ‘ritual killing’ of governments as Krastev puts it. Ironically, liberal decommunization and anti-corruption initiatives have fed this process. The biggest problem thinks Krastev is the ideologically distance opening up between elites increasingly sceptical of democracy – presumably inclined to technocratic solutions and free market bypassing of politics – and mass publics increasingly sceptical of democracy. Less a question of Putin-esque illiberal democracy than an awkaward mix of democratic illiberalism and liberal elitism, it seems. The political futures markets run by OpenDemocracy.net has, I see with interest, launched an options market on whether Václav Klaus will retain the Czech presidency next February. Punters can spend up to $5000 virtual dollars hedging for or against VK re-entering Prague Castle. I must sign up and put some imaginary money on him – given my record has a political tipster on the Czech Republic, this will probably finish off the great survivor of Czech politics for good! Newly minted Lib Dem leader Nick Clegg may think we’re a nation of untapped liberal and progressive sentiment, but when Christmas shopping in Brighton I mugged by reality. It’s not unpleasant and is less hellish than I imagined and all the toyshops are conveniently clustered in the mall that is slowly swallowing up the town centre. But, alas instead of looking for Pinkie Pie pony, I find myself drawn to the array of toy weaponry in Gamleys, which includes not only swords and ray guns, but also a life-sized orange-and-yellow plastic double barrelled shotgun for the aspirant bank robber. Most other toyshops, it’s true, are far too politically correct to have such things – or perhaps it doesn’t sell well in Brighton, where a Green councillor has just romped home with a huge vote in a by-election . Coming from redneck (or should that be blue-neck?) mid-Sussex, however I feel an involuntary twinge of envy for whichever gun toting eight year old is going to lay his hands on this mini-arsenal. My own parents in the 1970s ,very responsibly, made Santa leave all firearms hanging in his grotto, but as George Orwell says ‘toy pacifists just won’t do’. My job in Gamleys, however, is buy up a selection of princesses and ponies – what have we done to encourage such gender stereotyping? 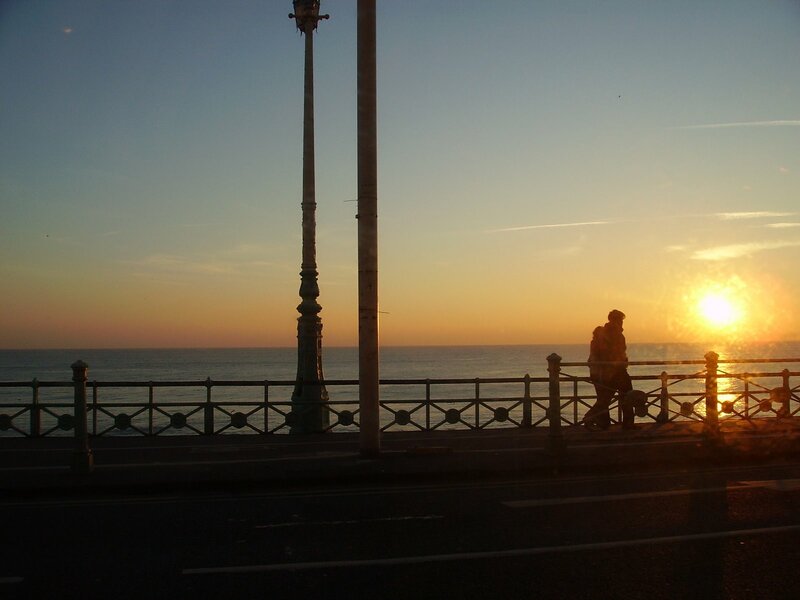 – and I efficiently do before heading out onto the freezing seafront just in time to catch the sun going down. A SSEES graduate emails me to ask if I know of any useful readings about the development of the Russian middle class. I don’t really. Russia not my main area of expertise, but it’s an interesting question. Middle classes are generally rather weak, dependent on/or overshadowed by the state and squeezed between the very rich and the fairly poor even in the more liberal CEE states and middle class revival is a theme that has entertained and agonized sociologists, right-wing parties seeking a counter-weight to social forces rooted in the communist, and liberals who see the new and/or old (historic) middle class as a potential dynamo for economic liberalism and civic engagement. 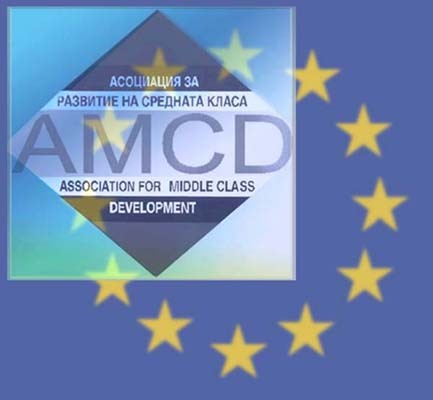 Bulgaria even has a think tank called the Association for Middle Class Development. I suspect the consensus would probably be that the Russia probably lacks a ‘middle class’ in any very meaningful sense, but the only thing I could think was a short polemical piece in Transitions Online by Andrei Piontkosky, former director of the closed down Strategic Studies Centre in Moscow. He makes the interesting point that the emergent Russia middle class – like those of Latin America – are indifferent to democracy and something of a minor prop for the Putin regime. A similar point was made a few years ago in more academic form in a very prescient article by Neil Robinson, who draw a parallel with ‘bureaucratic authoritarianism’ as a side effect of modernization in South America more explicitly. Unfortunately, as if to make the point – Piontkovsky seems more concerned with ‘modernization’ than democracy per se – which seems to suggest that the problem is that Russia has the wrong kind of authoritarian rule. Rather oddly, having started out with argument that Russia is a heading for a novel form of (semi-)authoritarianism ‘that is neither socialism nor capitalism but some hitherto-unknown creature’, he ends up suggesting that Putin is some kind of authoritarian neo-liberal in the Pinochet mould. As more expert colleagues aren’t to hand, a quick google reveals a lot of informed journalistic comment – a sketch in Business Week, an article by Masha Lipman in the Washington Post, and two posts on Johnson’s Russia list (here and here) – but seemingly little in the way of academic research. How can you research something that doesn’t exist – and perhaps historically never did? The most I can turn up is a reference to a conference paper by a Dr Anna Ochkima of Penza State Pedagogical University presented at last year’s meeting of the American Sociological Association. Alas there is no publicly accessible online version, Dr Ochkima doesn’t have an email address listed, and her university doesn’t seem even to have a website. So much for Russian middle class development. >The Croatian Pensioners Party (HSU) may have been cut down to a single deputy in recent elections but reports Javno despite this they have become the third ‘grey’ grouping to enter government (the others are in Israel and Slovenia), signing a formal coalition agreement with the victorious Croatian Democratic Union (HDZ). I dare say that may lead to merger and final eclipse. >Economist Švejnar a presidential threat to Klaus, but do Communists hold keys to the Castle? The contest for the next Czech President – due to be elected on 8 February by a joint session of both chambers of the Czech parliament early next year – had seemed to be a pretty dull affair of opposition parties predictably failed to get their act together to find a credible challenger to Václav Klaus, has suddenly got very interesting, as the Social Democrats (despite reservations of traditionalist such as influential Deputy leader Zdeněk Škromach) have settled on the Czech-American economist Jan Švejnar as a challenger and – after weighing up the situation – Prof Švejnar has thrown his hat into the ring. In some ways Švejnar is a curiously similar figure to Klaus, a professional economist with basically liberal free market views, who was involved with the flawed experiment of the early 1990s in mass voucher privatization (he is credited by some as one of the intellectual originators of the voucher concept). A younger man than Klaus (born 1952, VK in 1941), unlike the current President (who may not have had the opportunity or inclination) Švejnar emigrated to the US in 1970 (where, as a dual-national, he is still based) taking a PhD at Princeton and carving out a high profile career as academic economist – his current CV reveals an impresssive stack of forthcoming articles and ongoing projects. This is all to marked contrast with the self-education in 1970s and 80s of domestic neo-liberal economists like Klaus and Tomáš Ježek (whose recently published memoirs and book on his experiences as Czech privatization minister are high on my Christmas list), who operated in ‘grey zone’ of research institutes and state banking institutions. Coming into Czech public life in 1989-90 for essentially the same reasons as Klaus – as a well-qualified technocrat, able to devise and implement some kind of privatization and economic reform policy – Švejnar served as an an adviser and consutant to President Havel and the Czech(oslovak) government(s) but, did not (and probably did not want to) return to Czechoslovakia permanently or enter top line politics. Few, if any, (returning) emigrés were appointed to high political office. As well as advising the World Bank and international organizations, Švejnar seems to have been on and off to been a consultant to most Czech government ever since, but – despite very publicly laying into the failures of Czech privatization in 2002 – generally steered clear of partisan alignment that tripped up some leading Czech sociologists in 1990s, who generally backed the Social Democrats or the ill fated breakaway from Klaus’s Civic Democrats, the Freedom Union. Švejnar seems in many ways excellent material to be a non-partisan technocrat or academic turned-president in the Scandivanian or Irish mould: he has economic expertise, international experience, high level political connections and fluent English. He is also a savvy choice by Klaus’s enemies (and especially by the Social Democrats, who have worked out that they cannot get a candidate of the left elected): a widely respected, but politically weak and inxperienced figure able to unite centre-left and centre-right deputies critical of Klaus (in a Czech context that includes the Greens, as well as the Christian Democrats and a plethora of small liberal groups with representation in the Czech Senate). Whether Klaus or Švejnar takes up residence in Prague Castle in February, may to a great depend on the attitude of Christian Democrat deputies, traditionally hostile to Klaus but now in govenment with the party he founded, the Civic Democrats, and clinging to their scandal-hit leader Jiří Čuněk with grim poll ratings, and perhaps in part more inclined to stay in with the right. So far the party has refused officially to back either candidate. However, the real fly in the ointment as ever are the hardline Czech Communists. In 2003 they unexpectedly backed Klaus, dealing a shattering blow to the then Social Democrat-led coalition of then Prime Minister (now European Commissioner) Vladimír Špidla. And once again in a finely balanced contest – despite a marked reduction in representation – they still are likely kingmakers. They are not, for once, presenting a presidential candidate of their own. Who will they vote for? Will they vote at all? They seem likely to back Švejnar in the first round of voting to ensure that (by gaining a majority in the lower house) he goes through to the second round (when the rules for election change slightly – see here for a fuller explanation of the whole byzantine system) and that Klaus isn’t re-elected too easily (Klaus will easily go through as his party, which dominates the Czech Senate, will easily deliver him a majority there). But what then? The Communists’ five conditions for the supporting a presidential candidate cut both ways: they want a non-party president (suggesting Švejnar? ), but also someone who will defend Czech identity in the EU (step forward Václav Klaus). My feeling is that now the Social Democrats are led by the more robustly populist Jíří Paroubek, the temptation to make some kind of impact and dish their old arch-enemy Klaus may be too great. On the other hand, they may simply play off the two candidates against each other in a bid to extract maximum advantage. They will clearly want to continue being received by the head of state as a ‘normal’ party alongside other party (a concession offered by Klaus in 2003, it seems, who has done precisely this as President), but what else may be on offer? Will there be some back channels opened up by the Social Democrats? Experts canvassed by the ČTK news agency suggest that the Civic Democrats’ size and discipline – and ability to ‘buy’ votes as a governing party – should get Klaus through, but who knows?. It’s all turned very interesting. It’s just over ten years since Václav Klaus was toppled as Czech Prime Minister in the wake of explosive revelations of dodgy party funding , giving rise to the most dramatic week in Czech politics since 1989. (The split with the Slovaks following the 1992 elections was played out in at slower and more orderly pace – at least in public). The high point of the 1997 drama was the publicly televised appeal by Finance Minister Ivan Pilip and ex-Interior Minister Jan Ruml for Klaus to resign as no credible explanations for concealed donations were possible. As PM and party leader, they argued even if he didn’t know – unlikely on the evidence, but just possible – then he should of done. No very convincing explanation was ever forthcoming from Klaus, but Pilip and Ruml’s bad timing – VK was out of the country at a summit of Central European leaders in Sarajevo when they went on TV – enabled Klaus to tough it out and present the whole thing into a conspiracy again him: the ‘Sarajevo Assassination’ as it was quickly dubbed (probably by journalists). I always thought ‘Sarajevo’ crisis would make a good docu-drama or thriller, but Czech film maker Radim Procházka more accurately sensed that it was more political pantomime than high drama and put together a witty and acerbic documentary, Papírový atentát (Desk-based Assassination). The film centres on a specially made toy puppet theatre of the scene outside the (then) ODS headquarters with cartoon-style moveable finger puppets figures of all the main dramatis personae (Klaus, Havel, Ruml, Pilip etc). These key political players were then interviewed with the first shot being their reaction to this paper diorama. The film did, however, have a more serious purpose as interviews went on to probe the issue and events of late 1997 and were intercut with archive footage of the unfolding political crises (the (in)famous press conference with Ruml and Pilip, politicians silouetted in the windows of the Civic Democratic Party headquarters, Klaus’s supporters chanting fanatically outside, Klaus’s resignation as PM etc etc) as well as some typically Czech offbeat lighter stuff about the tradition of paper modelling in the CR – the ‘Desk-based Assassination’ model wins third prize in the national championships held with tongue-in-cheek seriousness (I think) in a sparsely attended leisure centre). The Czech news magazine Respekt even supplied its readers with a cut out make-your-own version in its first December issue, but although I am a subscriber, but have so far resisted the temptation to get out the scissors and glue. Papírový atentát was pointed and drily witty as only Czechs can be present a reasonably clear case that there was no plot and the whole affair was ultimately a fairly standard political crisis dramatized by those involved for a variety of different reasons. The real story was, in any case, one of bad debts, dubious lending and flawed privatization of 1990s. It was, nevertheless, interesting to see the elusive ex-Foreign Minister Josef Zieleniec – suspected by many of leaking the crucial details of dodgy financing which , by the standards of the time, was nothing very out of the ordinary – talking on camera. The cynical complicit laughter of journalists and politicians at the ODS press conference, where the (real donor) ex-tennis play Milan Šrejber offered some obviously feeble explanations and then refused to take questions ,was also revealing. However, few very new points emerged for anyone who knows the ‘Sarajevo’ saga , suggesting that as ever it was really Václav Klaus – still very much on the Czech political stage as President – who really got away with murder. Czech speakers can still catch Papírový atentát online here on the Czech Television website. The latest SSEES Guest Lecture is given by the former UK ambassador to the EU and European policy advisor to Tony Blair, Stephen Wall. He gives us articulate and measured take on EU27 (and Britain’s place in it) interspersed with some amusing, but not too cutting, asides on UK politicians he has worked with/for and other EU governments. The EU, he said, has, since the collapse of the Constitutional Treaty, evolved towards a vision of ‘an ever more closely co-operating union of nation states (not ‘union of peoples’ as mentioned the Treaty of Rome), the basic policy of all British PMs for decades, albeit with presented with different emphases (Blair subtler, Thatcher scarier). This means integration via a ‘Europe of results’ rather than one of grand overarching institutions. The old Franco-German vision of tight(er) political integration basically had its last iteration with the Constitution as the political circumstances that drove it had disappeared: a united Germany no longer need full(er) political union like the old West Germany and Russia despite the nastiness of the Putin regime was far from presenting the geo-strategic threat the Soviet Union once posed. So in truth the Constitution was bound to fail as it lacked the policy content to make its framers more integrationalist vision a meaningful reality – and sceptical French and Dutch electorates instinctively undertsood this – but had some of the trapping of the constitution of a federal state, which scared and anagonized the more eurosceptic. The British/Blairite priority of working for integration with real content – policies for promoting economic competitiveness, deregulating of emergy markets, establishing kind of external EU energy policy to stop Russia picking off EU members state one-by-one in bilateral deals – was thus bang on target. However, the enlightened pragmatic self-interest of member states was, sadly, unlikely to achieve this. In the past, political to and fro between defenders of national national sovereignty – like the UK, which lacked a powerful allies to match the Franco-German tandem- and those wanting to build supranational EU policies had been quite a creative force leading to sensible liberalizing reforms through, for example, the creation of the Single European Market. Now, however, no such configuation seemed to be coming together. Wall was, however, optimistic about the general functionality of an enlarged 27 member EU and the prospects for future enlargement (presumably looking over the medium term) to Turkey and Ukraine and didn’t seem to rule out wider expansions: no fixed frontier should be set defining where ‘Europe’ is, a case by case approach should be deployed. Finishing his guest lecture smartly in a 45 minutes, he then fielded about a dozen questions, including a rather interesting one about the influx of Poles and East Europeans to the UK. As well as being a very positive miscalculation, he thought, it showed that the current EU was in many ways close to vision of liberal big market Europe set out by Mrs Thatcher in her Bruges speech. As usual , I am left with the impression that top Eurocrats and bureaucrats are a pretty and realistic lot, but how many elections would the UK Sane and Realistic About the EU Party win?